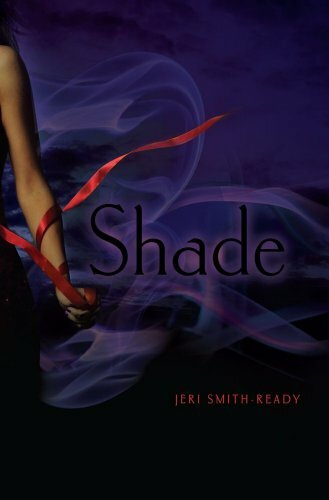 The Shade Trilogy by Jeri Smith-Ready consists of the books Shade (2010), Shift (2011), and Shine (2012). 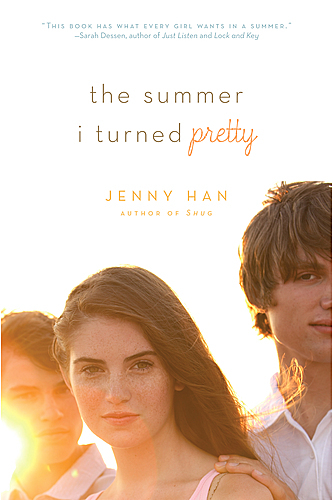 The Summer trilogy by Jenny Han consists of the books The Summer I Turned Pretty (2009), It's Not Summer Without You (2010), and We'll Always Have Summer (2011). Every since she was born, Belly and her mother and brother spend the summer months at their mother's best friend Susannah's beach house with her and her two sons, Jeremiah and Conrad. The time they spend there is idyllic and perfect, everything Belly could want for in a summer. The summer she turns sixteen though, everything is different. Her mother and Susannah are being secretive, Conrad is extremely moody, and the boys can't seem to understand that Belly isn't a little kid anymore. As everything around her changes and Belly falls in and out of love, she’s certain of one thing: this summer will be far different than all the ones before. 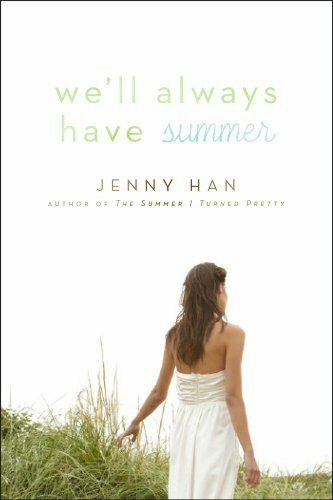 Every summer, Belly, her mother, and her brother Steven head to the beach house in Cousins to stay with her mother's oldest friend, Susannah, and her boys Conrad and Jeremiah. But this summer, for the first time, Belly isn't going anywhere. Susannah is dead, leaving the beach house empty and her boys and Belly lonely and lost, unable to see past their grief and hurt. Belly passes the days idly, until Jeremiah shows up, asking for her help, and Belly is forced to confront both boys, and her sorrow. Two years have passed since Belly began dating Jeremiah. They now go to the same college and Belly is incredibly happy with him, even if she does find herself thinking about Conrad now and again. So when Jeremiah shockingly proposes to Belly at the start of the summer, she immediately says yes. Suddenly Belly's days are full of wedding preparations at the beach house while simultaneously trying to pacify her mother and get along with Conrad. 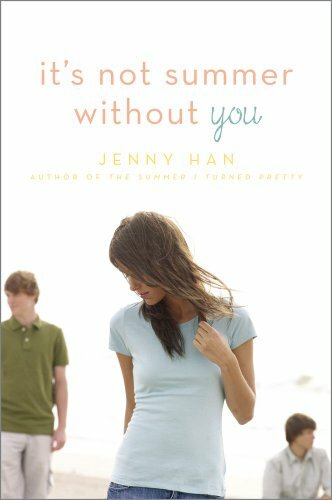 Belly is certain that she loves Jeremiah, but as the summer slips by, she has to ask herself if she's really in love with him...or still in love with Conrad. 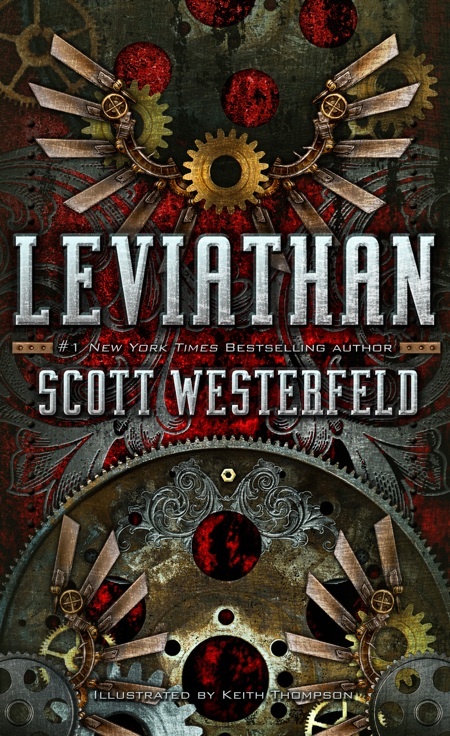 The Leviathan Trilogy, written by Scott Westerfeld, consists of the books Leviathan (2009), Behemoth (2010), and Goliath (2011). 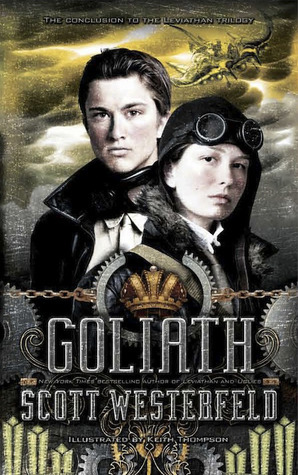 Alek and Deryn are nothing alike: he's the lost prince of Austria, on the run since his parents were assassinated, and she is a girl disguised as a boy in the British navy. Yet, they have formed an unlikely friendship that is put to the test when they reach Istanbul. 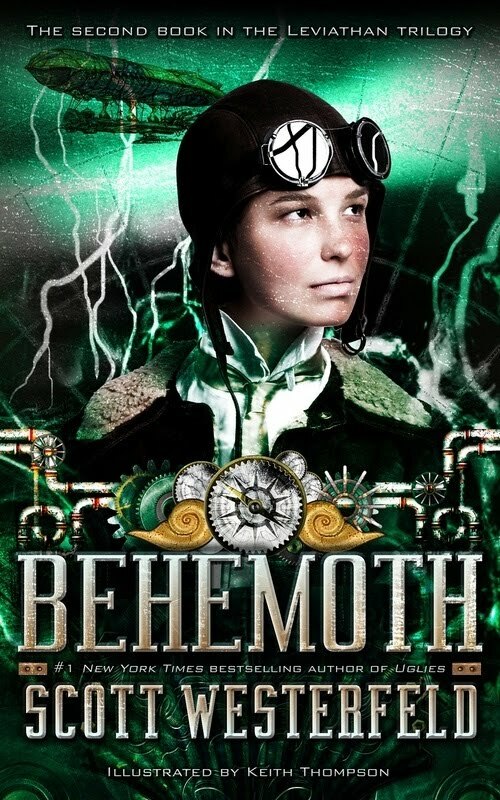 There, Alek and Deryn are both separated from the Leviathan, and left stranded in a city crawling with Germans who are hunting them. They fall into a group of revolutionaries who wish to overthrow the sultan, and discover a powerful weapon that could be the Dawinists' undoing. As time begins to run out, Alek and Deryn must figure out how to cripple the Clankers before they can get the upper hand in the war. 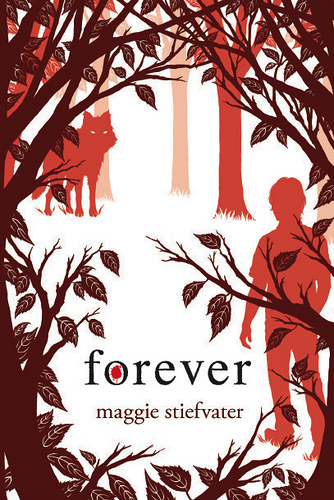 The Wolves of Mercy Falls is a trilogy by Maggie Stiefvater. 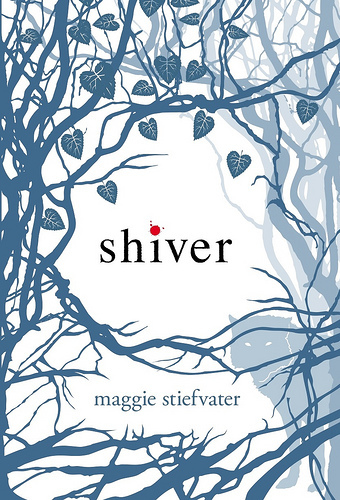 The first book is Shiver (2009), the second is Linger (2010), and the third is Forever (2011). In the last weeks of winter, Sam has stayed human, much to Grace's joy, but the cold still haunts him. Grace is just happy to be with him, even though she knows that their problems are far from resolved. 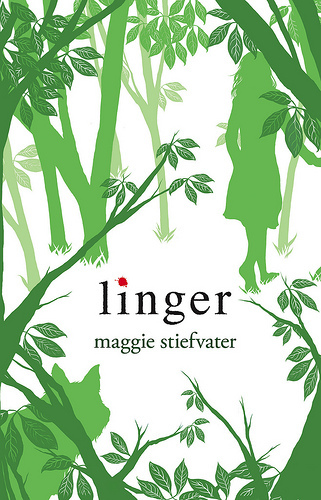 As spring approaches, the new wolves are changing back, even though one of them, Cole, would like nothing more than to lose himself in his wolf form, and Isabel's father is more than willing to help eradicate the wolves in the forest completely. 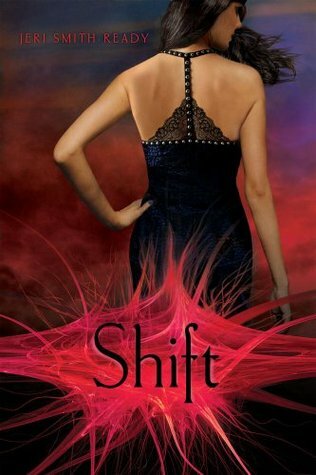 And through it all, Grace is keeping a secret, something that could change everything. For months, Tom Culpeper has had it out for the wolves. And now he is finally going to do something about them. Sam has finally been "cured", and now he stays human...but now it's Grace who is unstable, and this time she is the wolf in danger in the woods. When Sam and Cole get word of the hunt that Culpeper has orchestrated to finally kill the wolves, they know there's no way to stop him. And so they're forced, with Isabel's somewhat reluctant help, to somehow find a way to not only understand the virus that makes them turn into wolves, but save the entire pack. Privacy is always something that you need to consider and be aware of. I do not generally collect any of your information. The only exception would be if I collected contact information for contest entries. When I do that, I do not share it with anyone, nor do I keep it on file, and I delete everything once a winner has been chosen. However, please keep in mind that just because I don't collect your information, others can't. If you leave your email address in the comments, or any other identifying information, others can find it. This is a YA book blog, and my "target audience" is readers ages 13 and older. However, I know that there are younger readers out there. Please be careful, and know that I require you to be at least 13 in order to enter contests. If you would like to enter but do not meet the age requirement, please have a parent submit their contact information. Also be aware that I link to many different websites, and their policies are all different. I am not responsible for them. If you have any questions, contact thecompulsivereader@gmail.com. Many people looking to start a book blog often ask me how I manage the technical aspect of thecompulsivereader.com, and assume I am some sort of web genius. Uh, no. When I started this blog in 2006, I had basic computer skills, and while I could still do more with a keyboard and a mouse than my mother still can (hi, Mom! I love you! ), I was far from a web genius. There is a lot of debate out there about which blog hosting site is the best (Blogger, Livejournal, WordPress, etc. ), but I think it all depends on your preferences. I use Blogger, and barring a few minor hiccups in the past year that were resolved quickly, I LOVE it! Blogger is a Google company, but you can use whatever email address you like to create a Blogger account. They allow to to create your own blog and make it as simple or as complex as you want. They also make it very easy to personalize your blog with colors, pictures, designs, etc. without having much knowledge of coding and design. This is the cheap route, as it doesn't cost anything to use Blogger's template designer. It's what I use, and while my blog isn't as flashy as others, it works and I think it looks clean-cut and professional, but also a little fun. You can also create your template if you have those skills, or hire a designer to create and implement one for you. This can be pricey, but you may even be able to find other bloggers who are willing to design things very inexpensively, like kd-creates.com. Just some things to consider: if you design the look of your own blog, try to choose colors that are easy on the eyes (as in, no neons! ), and just keep in mind that dark backgrounds with light colored text is harder to read than light backgrounds and dark text. Don't be afraid to play around with your blog and add widgets, pictures, lists, etc.! The Compulsive Reader is constantly evolving, and sometimes a change is really fun! Just keep in mind that readers tend to get annoyed by music players and widgets where the sound cannot be turned off. Other than that, have fun with it. Once you have your blog up and running, your blog address (URL) will be yourblogname.blogspot.com. If you want to remove the blogspot from your URL, you will need to purchase a domain name. You can do this from a variety of sources, but I recommend doing it through Google. It costs about $10 a year, and they remind you when your subscription is about to expire so you aren't left with a blog but no URL! That is, however, just an option. You don't have to do that! Your blog is supposed to be a fun place to express yourself. Just remember that it's also a presentation of yourself. If you want to be seen as professional, keep it more on the professional side rather than the personal side. These are just some of my suggestions and ideas--just remember that in whatever you do, have fun! Email me at thecompulsivereader@gmail.com if you have any questions or want clarification on anything!